The U.S. Department of Homeland Security (DHS) was created by combining all or parts of 22 other federal agencies and departments, including the U.S. Coast Guard, Federal Protective Service, U.S. Customs and Border Protection, the Secret Service, and the Federal Emergency Management Agency (FEMA). 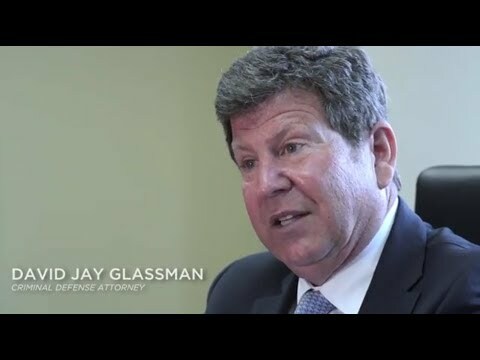 The Law Office of David Jay Glassman has experience navigating the maze of regulatory issues related to working with the organizations that are part of DHS — and the challenges involved in dealing with them. While we generally think of DHS as the government body responsible for dealing with terrorist threats, its scope is much broader. And immigration enforcement is one area that falls within its jurisdiction. Immigration and Customs Enforcement (ICE), created in 2003 when the Customs Service and Immigration and Naturalization Service merged, detained more than 400,000 immigrants in 2011 — even though detention may have not been warranted in many cases and did little to enhance national security. Our current immigration laws subject families with small children, elderly people and those with physical and mental health issues to deportation for relatively minor crimes. In many cases, those who are detained under the umbrella of Homeland Security may lack even the most basic healthcare. This happens under a system that costs American taxpayers more than $2 billion a year. Additionally, we’ve seen numerous cases where a slight brush with the law results in a conviction that jeopardizes an immigrant or nonimmigrant foreign national’s status. We’ve been successful defending numerous clients against deportation. At the Law Office of David Jay Glassman, we feel strongly that when your freedom and rights as an immigrant are at stake, your first phone call should be to us. Standing up to any government body can be challenging. We readily accept the challenge and fight aggressively for your rights. Ever since the Department of Homeland Security was created in response to the terrorist attacks of September 11, 2001, many people have been unfairly detained or charged by DHS. The threat of deportation or being convicted of a crime that you did not commit is terrifying. Many of our clients feel as though no one is on their side or even cares what happens to them. At the Law Office of David Jay Glassman, we are on your side and care about you. We take threats to your own security very seriously and are committed to fighting for your rights. When your freedom is at stake, you deserve the strongest possible advocacy by a law firm that’s not intimidated by the Department of Homeland Security. Attorney David Jay Glassman has both the experience and the skill to fight for you when your future — or even your life — is at stake. At the Law Office of David Jay Glassman, we have a thorough knowledge of immigration law and the skill and tenacity to handle your Department of Homeland Security case. If you need help with an immigration matter or any other issue having to do with DHS, call us at 866-221-1270 or contact us online to ensure you get the best possible defense. Our offices are conveniently located in Marlton, New Brunswick, Hackensack and Newark, and our legal team handles cases throughout New Jersey.